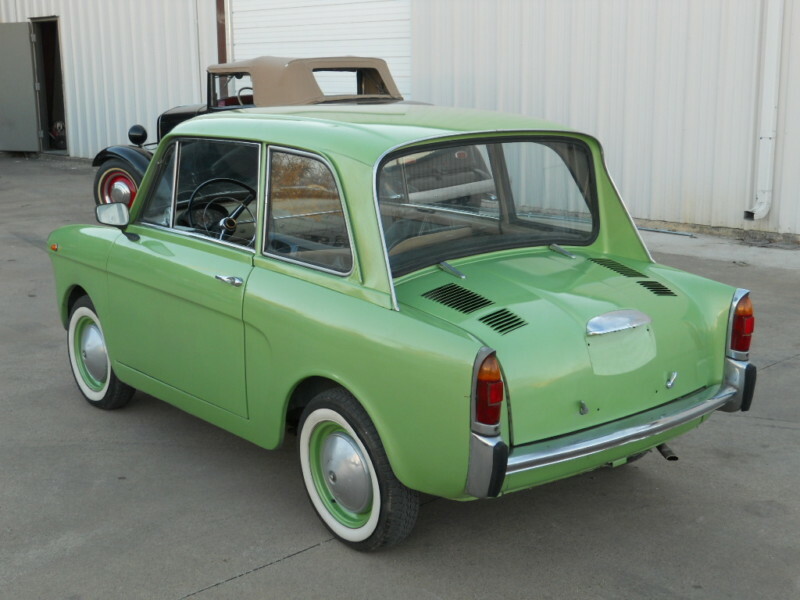 Daily Turismo: 5k: 1964 Autobianchi Bianchina Berlina 500; Microcarpe Diem! 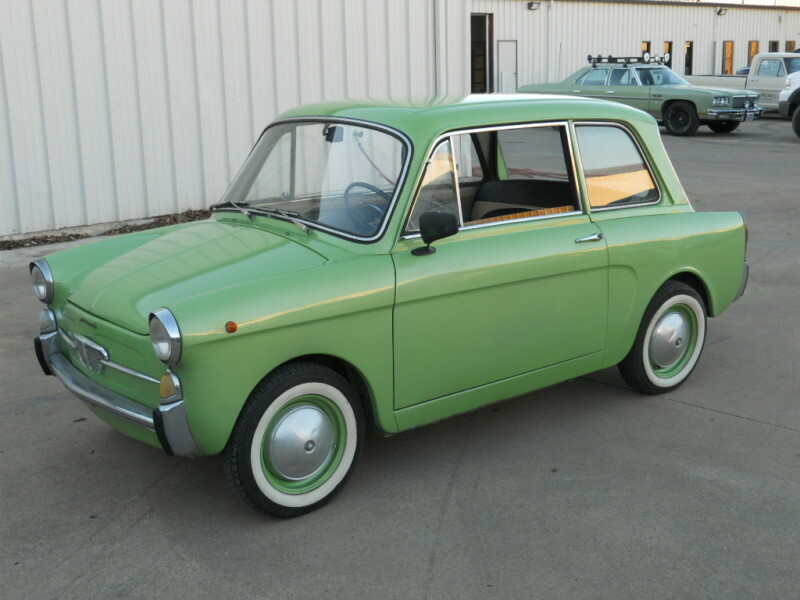 5k: 1964 Autobianchi Bianchina Berlina 500; Microcarpe Diem! 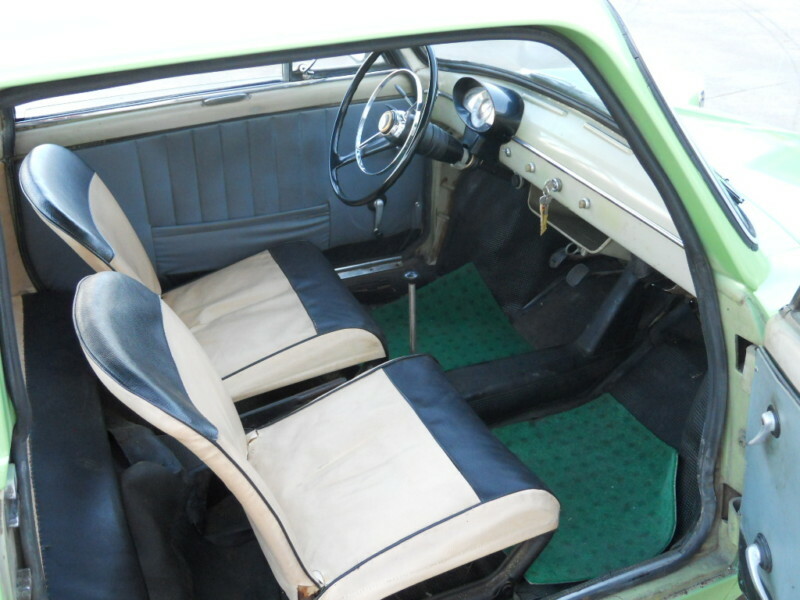 Autobianchi was an Italian automobile manufacturer created jointly by Biachi Bicycles, Pirelli Tires and Fiat S.p.A. It built a number of supermini subcompacts over the years, the most handsome of which was the 1957-70 Bianchina. 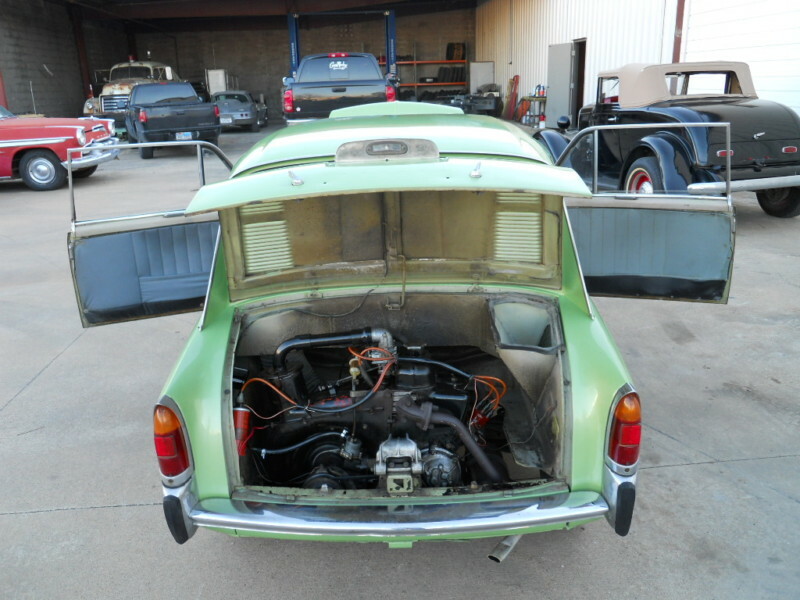 This 1964 Autobianchi Bianchina Berlina 500 is for sale in Dallas, TX currently bidding at $6,550 with a few hours to go. The Bianchina is classified as a supermini or subcompact, being slightly larger than a city (or kei-car) and smaller than a typical compact. The Bianchina used mechanical parts from the Fiat 500 and a stylish body designed by noted Fiat design director Luigi Rapi. The Bianchina is powered by a 499cc straight-2 cylinder overhead valve engine - the same engine that powered the ubiquitous Fiat Cinquecento. 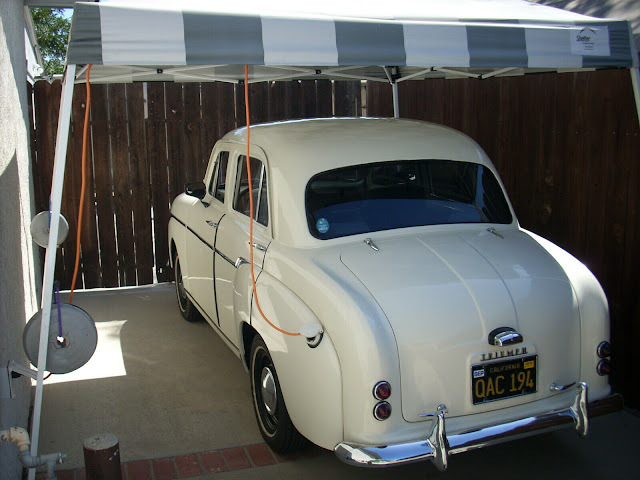 In stock trim it puts out 21 horsepower, which is enough to get the 1200 lb Berlina coupe to a top speed of 67 mph. The low curb weight is clearly evident in the thin backed bucket seats, a spindly shifter and general lack of substance to anything inside this classic. Even the floor mats seem to be an afterthought. This little Bianchi packs an awful lot of cool into a small package and we can imagine it gets thumbs up everywhere it goes. It won't be particularly fast or impress the local muscle car knuckleheads - but it gets our stamp of approval for being cheap and fun.